North Idaho includes portions of Idaho’s most scenic mountain ranges – the Selkirk, Cabinet, Coeur d’Alene, and Bitterroot Mountains. The waters of the Pend Oreille, Coeur d’Alene, and Priest Lakes, set against lush evergreen mountains, makes Idaho’s northern region an unforgettable vacation paradise. After the glaciers of the last great ice age melted, they left beautiful lakes, mountains, rivers, and fertile valleys. The Coeur d’Alene, Kaniksu, and St. Joe National Forests encompass the Idaho Panhandle National Forest region. We invite you to experience and discover all of this in magnificent North Idaho. STAY TUNED for a New FYINorthIdaho Website! 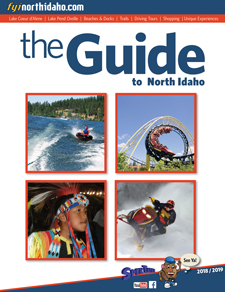 Plan your visit to vibrant regions across North Idaho in any of the four seasons. 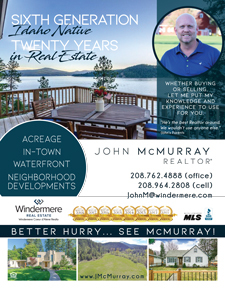 Great things are happening in North Idaho all year long!